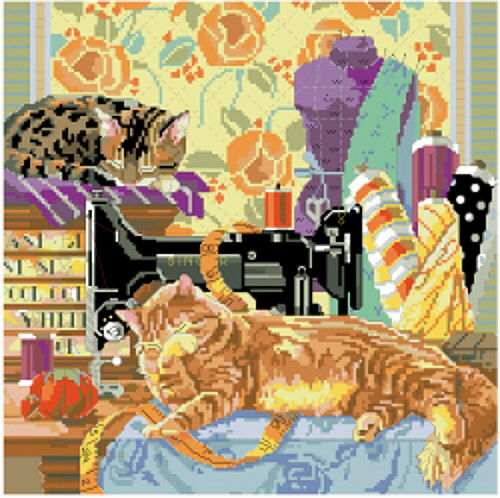 Fur may fly when you sit down to sew with these friendly felines nearby. Don’t they always want to be the center of attention? You can give them their space in this depiction of a favorite sewing room. Contents: Stitch Count is 168w X 168h Finished size on 14ct 12" x 12"